This tree. I have admired this tree for 18 years, now. This is Miss Joyce’s tree. Joycie passed three years ago this coming March. She was my ‘elderly’ friend. She has an open porch and sat on it as often as possible. She knew who and what was going on! She was my friend whom I ‘fence chatted’ with in the back yard. Joyce followed the sun – so in the mornings she would sit in the front and much like a sunflower, she moved to face the sun, thus ending in the backyard. Miss Joyce was proud of her gardens and this tree. 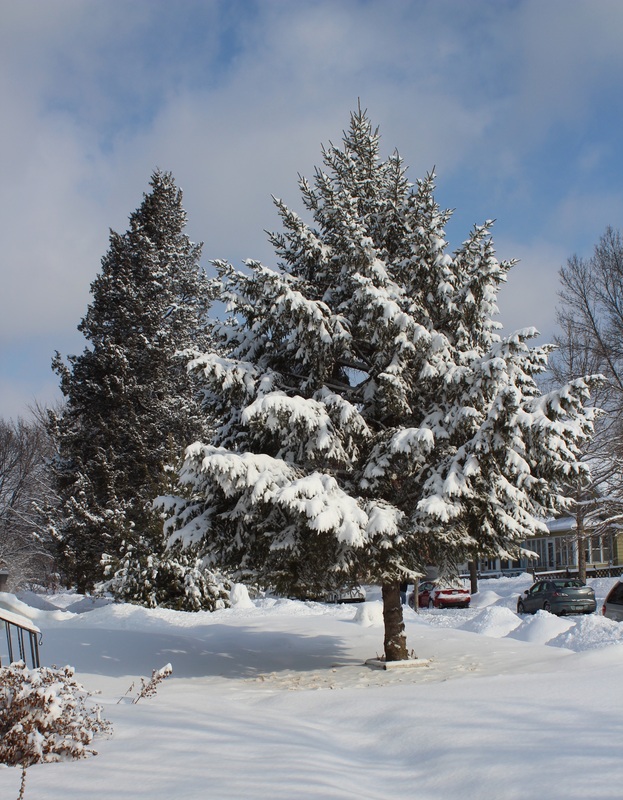 This tree proudly displays the new fallen snow from overnight. In my back yard it was over six inches with more expected tomorrow. This morning it was quite grey out, but for about a half hour around 10, the sun broke through creating a perfect picture of this tree.